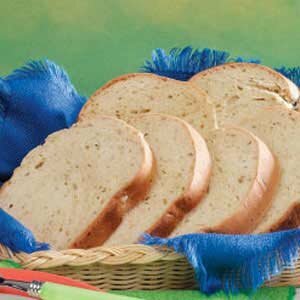 In bread machine pan, place all ingredients in order suggested by manufacturer. Select basic bread setting. Choose crust color and loaf size if available. Bake according to bread machine directions (check the dough after 5 minutes of mixing; add 1 to 2 tablespoons of water or flour if needed). Makes 1 loaf (2 pounds, 16 slices).